A consortium led by Middlesex University including Sheffield Hallam and Staffordshire Universities and the University Vocational Awards Council (UVAC) has won £99,000 from education charity Edge Foundation’s 2018/9 grant fund for research into degree apprenticeships. The Edge Foundation makes £1 million in awards each year to applicants that address educational challenges including supporting innovative approaches to HE at Levels 4, 5 and 6, the development of project based learning and associated profound employer engagement, and measuring the performance of technical education. Middlesex has a strong record of collaborating with UVAC and other universities in the apprenticeships and skills space. In the EDGE funded research, the universities will look at sectors which correspond to their expertise and experience of delivering apprenticeships. Middlesex will focus on public sector nursing, Sheffield Hallam on engineering and Staffordshire on the digital sector. The lessons learned will be applicable across a range of key sectors and valuable to all HE institutions, as almost all are on the register to offer degree apprenticeships. A key part of the research “is establishing and developing a network of HE providers to identify the key challenges of providing degree apprenticeships and to develop and promote best practice for the sector” says Dr Darryll Bravenboer, Director of Middlesex's Centre for Apprenticeships and Skills. Darryll stresses the importance of collaboration with employers and professional bodies to design high quality integrated degree apprenticeships. He also believes that the complex demands of setting up and administering degree apprenticeships means institutions need to be fully committed to meeting the requirements of this innovative form of HE. “We have to conduct research to see what emerges, but there is significant scope for the work to inform our thinking about what what 4th industrial revolution HE should look like". Among a range of new public sector degree apprenticeship programmes, Middlesex is launching police officer apprenticeships with Surrey, Sussex and Hampshire Police forces in collaboration with Cumbria, Canterbury and Portsmouth universities. 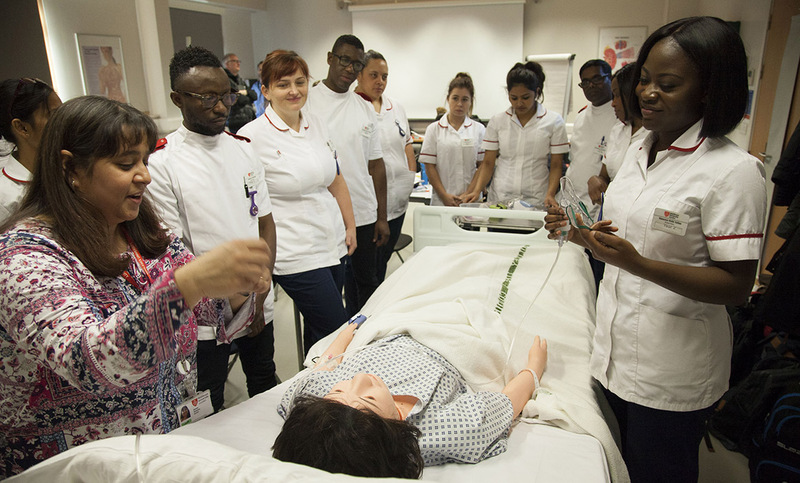 Middlesex currently trains a large number of nursing apprentices and offers a number of private sector degree apprenticeships in roles such as B2B Sales Professional, and is developing others. Edge Chief Executive, Alice Barnard, said: “We are delighted to be supporting this important research which is critical to informing and shaping degree apprenticeships in the future, ensuring students are getting the very best education and training that good apprenticeships offer”.